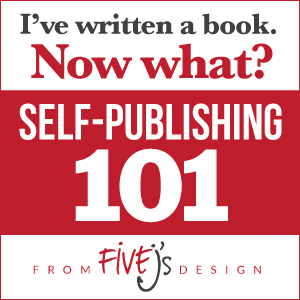 Do you want to self-publish in both ebook and physical book formats? Where do you want to distribute your book? Amazon only? On the Nook? Apple’s iBookstore? SmashWords? CreateSpace? Kobo? Diesel? Local bookstores? Where and how you distribute will have bearing on your manuscript preparation. Do you want to sell Kindle, ePub, and PDF versions of the book from your own website? Do you know how to properly prepare the manuscript yourself? If not, can you learn how, or are you willing to invest the money to hire someone to do it for you? Keep in mind that preparing the manuscript for the ebook version is much different than laying it out for print. Have you thought about your metadata? How are people going to find your book? Have you had a cover designed? Does it look professional? Have you written an enticing book blurb? Back cover copy? An “about the author” page? There’s a lot to think about, but don’t despair. We’ll talk through many of these issues as the series progresses, especially as we move into Self-Publishing 201 territory. Let’s take a few moments and address some of these concerns. I’ll talk more about distribution options in the next post, so for now let’s focus on some general rules for preparing your manuscript for any distribution method. This preparation will get your manuscript ready to convert to an ebook for ereaders or to lay out as a PDF or printed book, whether you do the conversion yourself or hire a professional. Fonts: Gone are the days when it’s necessary to worry about manuscript formatting that calls for Courier at 12-point size with double-spaced lines, but that doesn’t mean you can go crazy and make silly choices with your fonts. In general, stick with Times New Roman or another clean serif font at 11 or 12-point size, and always write in black unless you’re specifically preparing your book for color tablets. Depending on the device, the reader will have control over the font face and size of the text. You don’t want to do anything that will end up frustrating your reader and make them give up on your book. Additional text elements like bold, italics, and underlining, are safe, but stay away from strange characters such as symbols and dingbats unless they’re absolutely critical to your manuscript. Many of those special characters have to be converted into images to display universally across all ereader devices. Tabs: Don’t use the tab key or spacebar to create paragraph indents in your manuscript. Learn how to properly set up automatic first-line indents in your word processor of choice. Line-Spacing: As you’re writing your manuscript, you might be using extra-wide line-spacing. I personally do this during the writing and revision process because it makes the manuscript much easier to edit. However, once you’re ready to output a final manuscript, make sure you change the line-spacing to something close to 1.2 or so. Double-Spacing: Old-school typing rules required us to double-space after periods and colons and other punctuation. This was because typewriters used fixed-width type faces, but this is no longer necessary with modern computers and typesetting. In fact, double-spacing looks odd within an ebook or a properly formatted print book. So make sure you use only one space following punctuation. Also make sure you don’t double space between paragraphs. A single return at the end of each paragraph is all that is needed. Additional spacing after each paragraph can be added globally later if necessary. Page Breaks: You will want to force page breaks at the beginning of each chapter. This not only helps with the visual layout of your book for both ebook and print versions, but it is also important when generating the Table of Contents page for the ebook. Text Justification: Unless you use a special layout for something like poetry, keep your text left-aligned and don’t use full text justification. You may think full justification makes your manuscript look cleaner, but it’s actually harder to read than text that is left ragged on the right hand side. Text justification can also create some very odd and hard-to-read word spacing within the body of your manuscript. Leave text justification alone until it’s time to create a print version of your book, then consider hiring a professional create your book’s layout. Images: If you’re using images in your book, make sure you have the proper permissions to do so. You must secure permission from the copyright holder; simply crediting the source of a copyrighted image in your book is insufficient. Also make sure to compress your images properly. Using high resolution images that are simply shrunk down (leaving the file size larger than necessary) or using images that are too low resolution are both problems. You need to find a balance between good resolution and small file size. Front and Back Matter: Don’t stop working on your manuscript until you’ve added front and back matter to your manuscript. Typical pages found within the front matter include the following: title page, copyright page, half title page, dedications, acknowledgements, forewords, other books by this author, and prefaces. Back matter often includes an about the author page, appendixes, bibliographies, indexes, glossaries, and colophons. What you choose to include is up to you, but make sure you’ve thought it all out ahead of time. That’s a good list to get you started. What questions do you have about manuscript preparation that I haven’t covered? Please let me know in the comments. In the next post, we’ll discuss distribution options for self-publishers.